When a vehicle with a recall is involved in an accident, manufacturers, car dealerships, and drivers may all be liable. Vehicle manufacturers often make mistakes which compromise the safety of vehicles. When these mistakes come to light, the manufacturer will issue a recall to owners. Many owners ignore or overlook these notices. Today, as many as 57 million recalled vehicles, which is more than one out of five, are riding around with a manufacturer’s recall. Sometimes, those recalls are for minor issues, but other times they create serious safety risks. Recalls help limit the manufacturer’s liability, but cannot remove it altogether. If a recalled vehicle caused an accident due to the recalled issue, the manufacturer may still be partially liable. For example, if a vehicle’s airbag deploys while the driver is driving, an accident is likely. In this instance, the vehicle’s manufacturer would be liable, even if a recall was in place. Product manufacturers have a legal obligation to create safe products, and when they fail to do so, they are liable at least for a portion of the damages. When a vehicle recall notice arrives, many vehicle owners choose to ignore it or forget to address the problem. 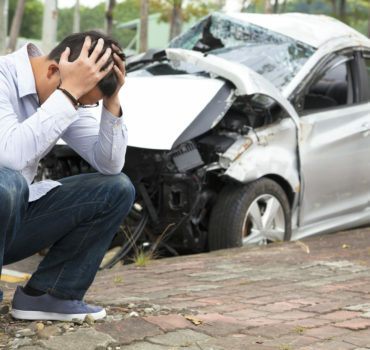 Statistics show that as many as 20 percents of vehicles that are recalled do not get repaired. Many owners cite concerns about dishonest dealerships, fixing an “older” car, or not having access to the vehicle during the repair period as reasons that they do not fix the vehicles. Others simply do not recognize the recall notice, which looks like spam, or set it aside and forget about it. When an owner fails to have a recall addressed, the owner could be partially responsible for the accident and resulting injuries. If the manufacturer issued a recall, the car’s owner has a responsibility to follow through with that recall. The conscious action not to take the steps to fix the vehicle means the owner is potentially liable. When car dealerships sell vehicles with open recalls, they may be able to be held liable for injuries as well. In some cases, manufacturers, dealerships, and vehicle owners all play a role in accident liability. Working with a personal injury attorney can help ensure that all responsible entities are held accountable.